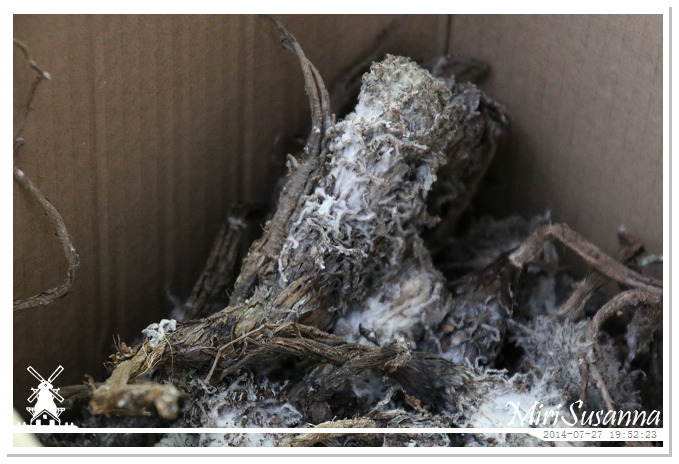 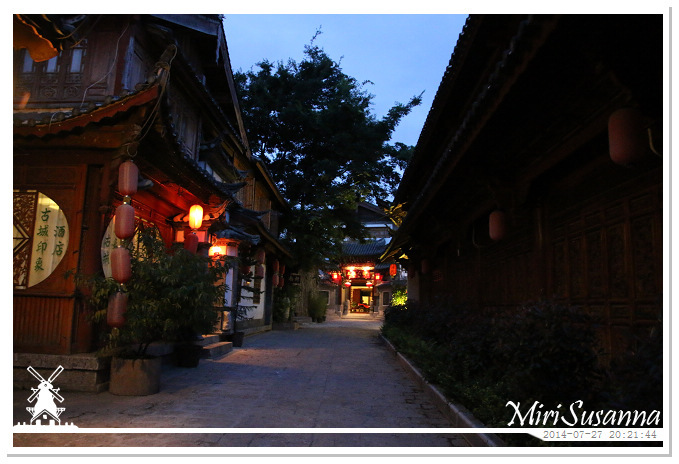 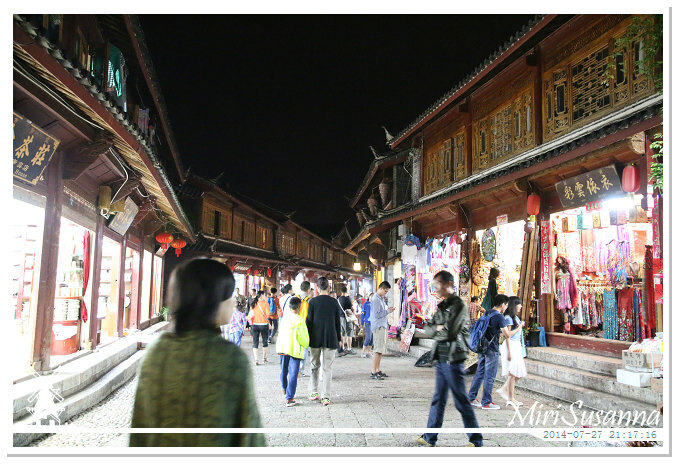 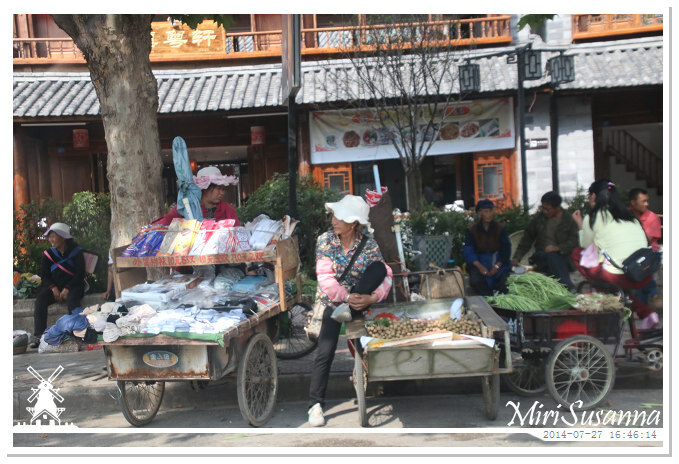 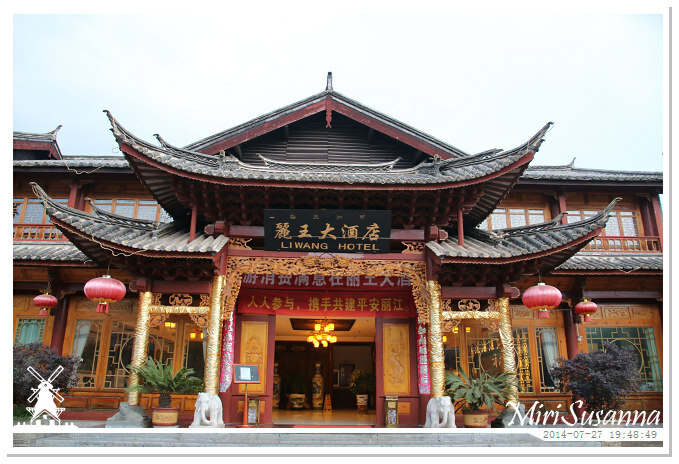 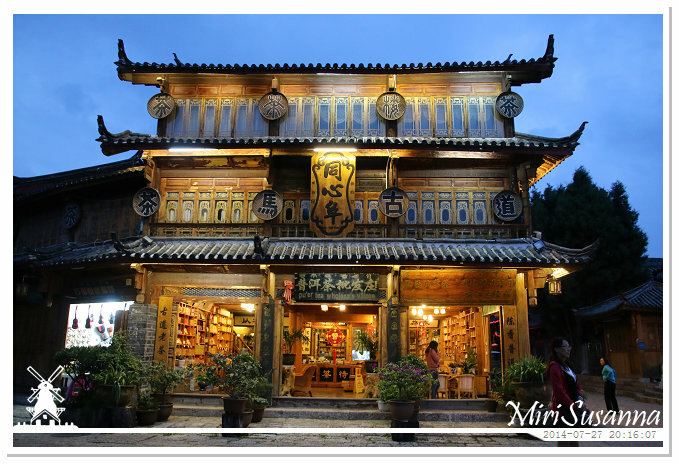 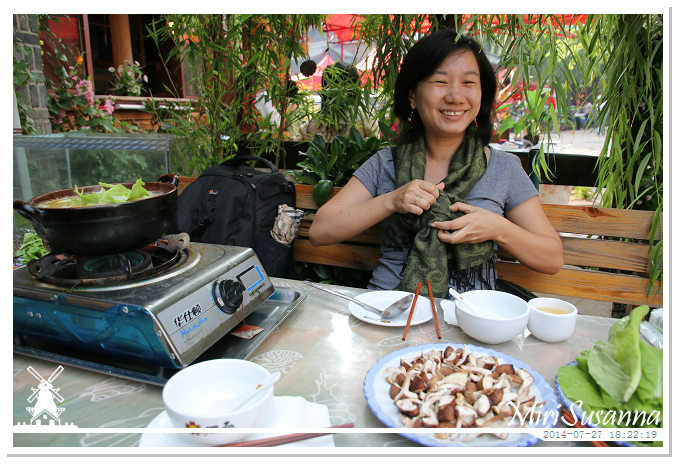 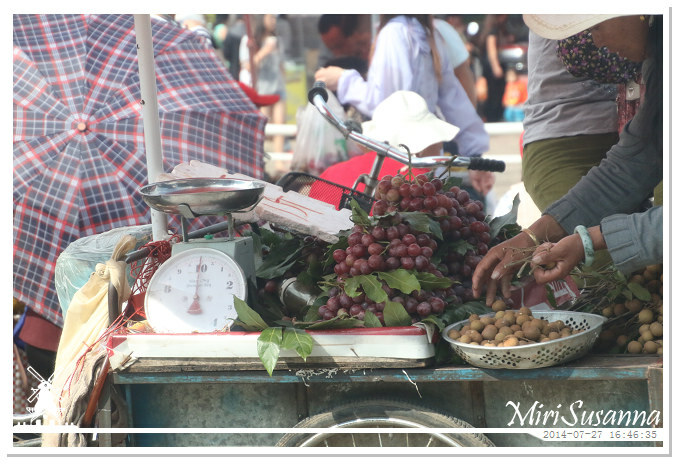 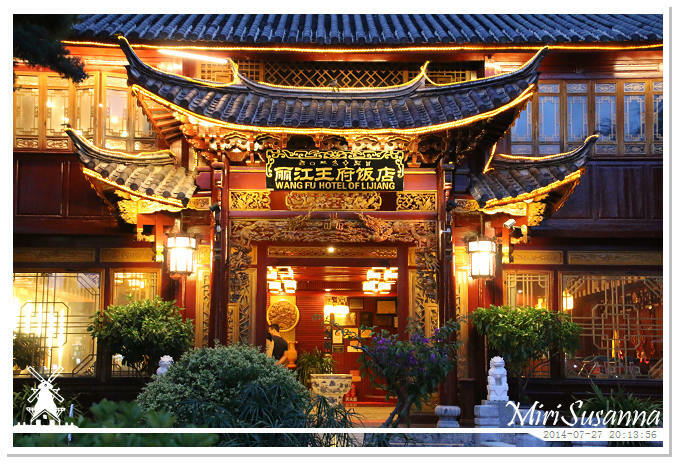 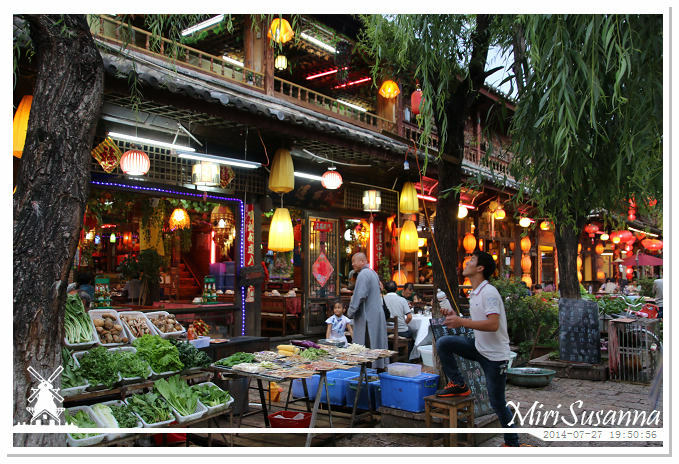 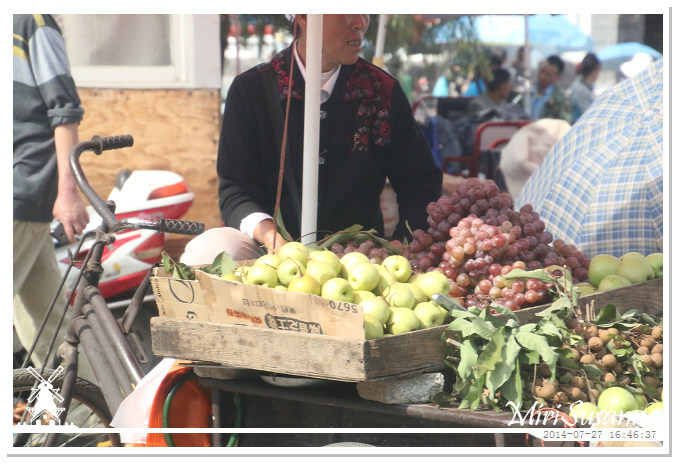 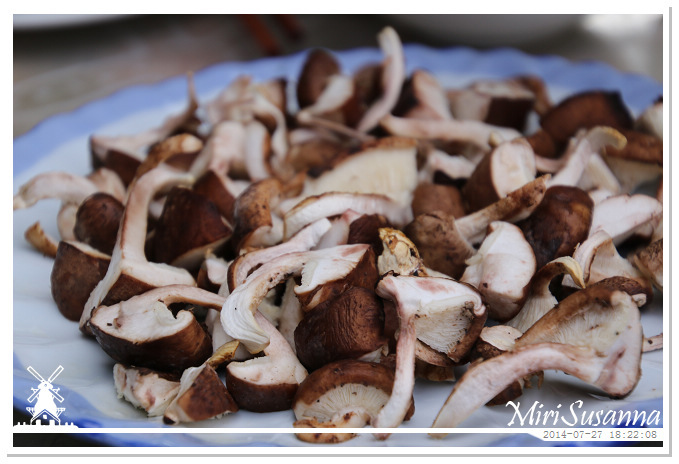 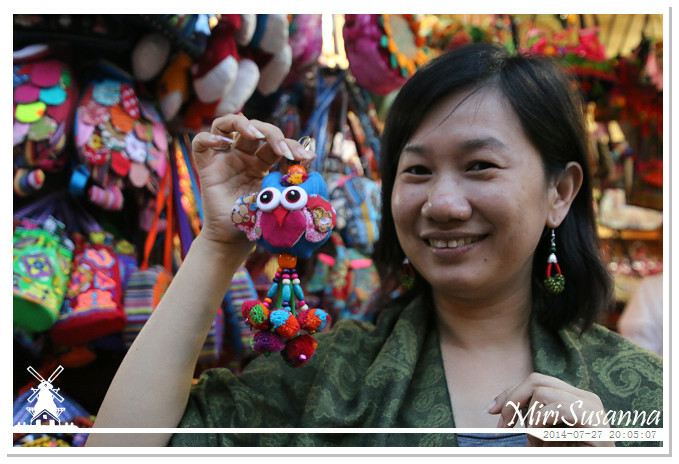 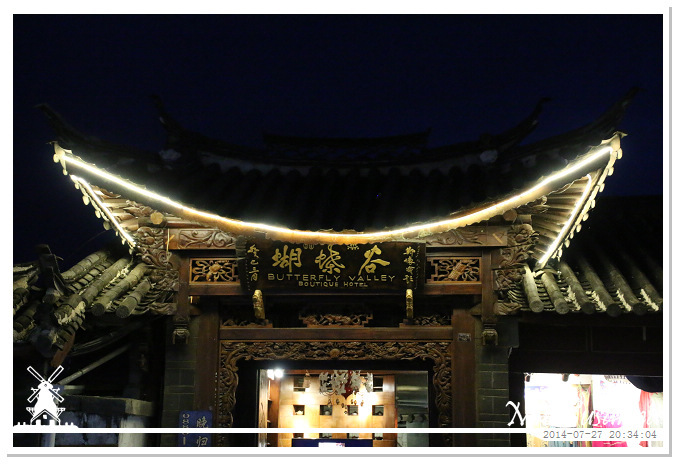 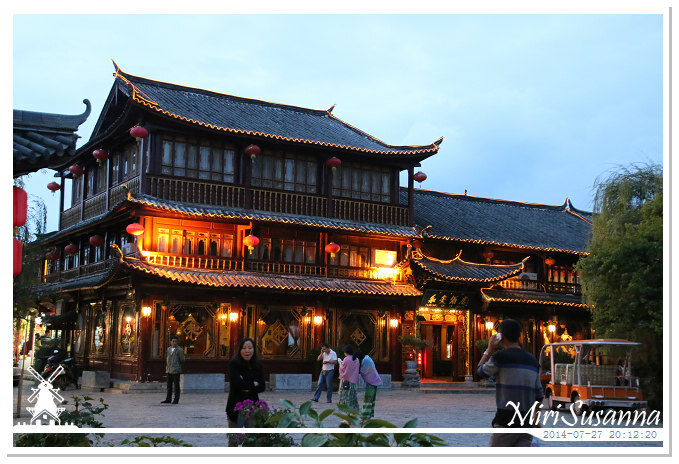 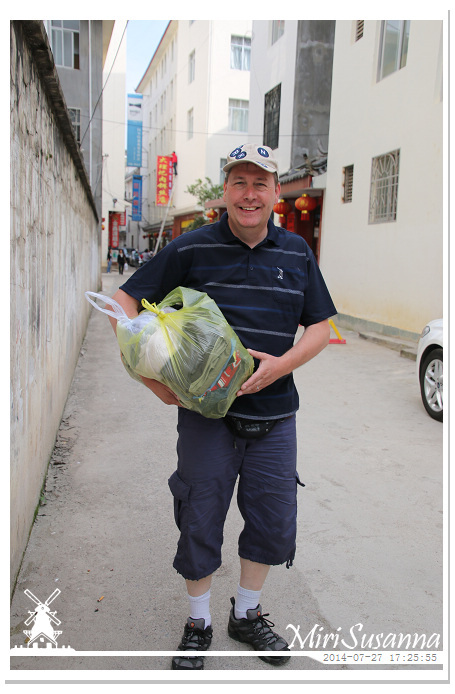 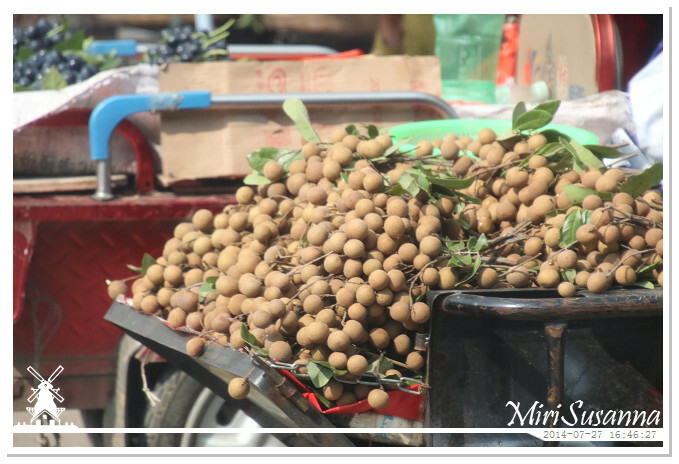 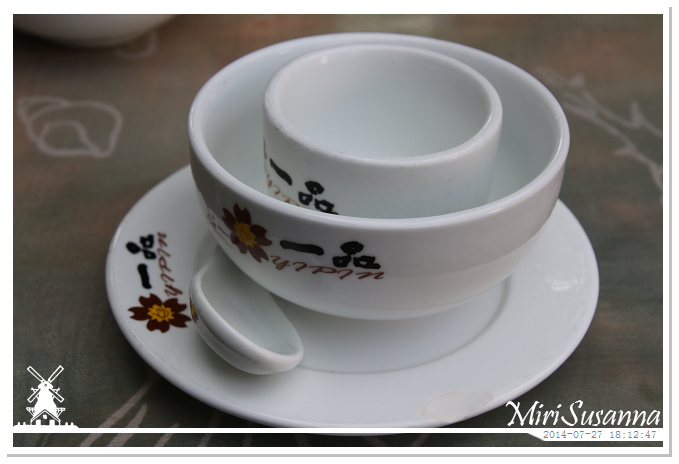 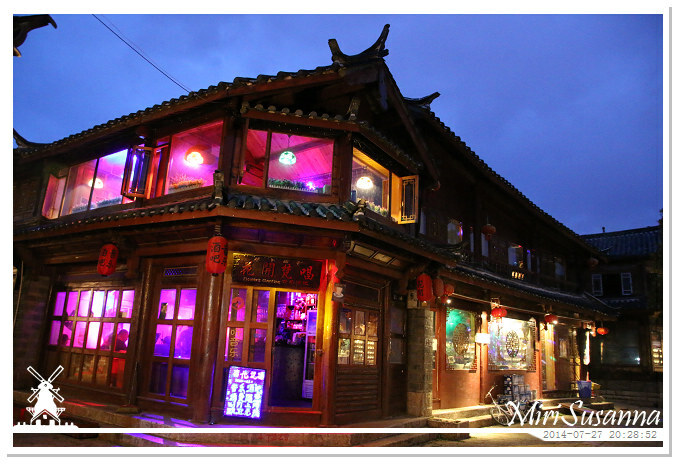 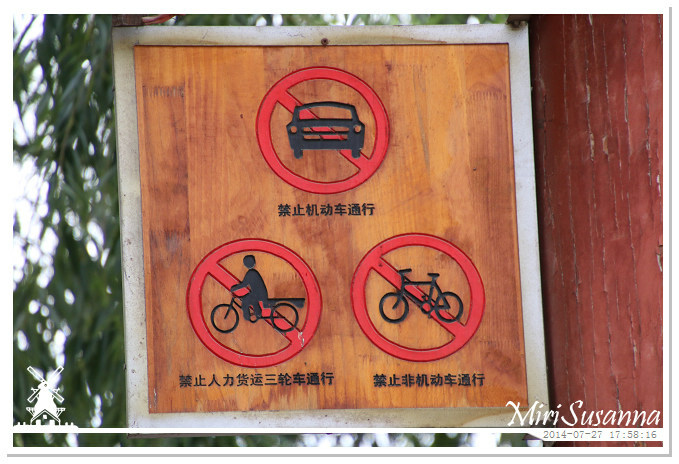 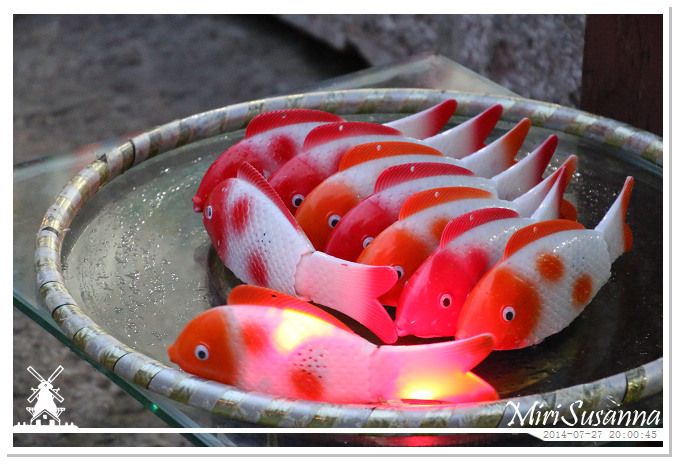 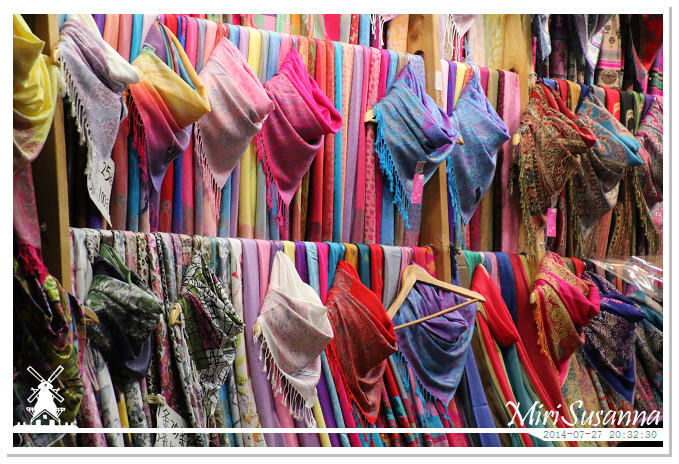 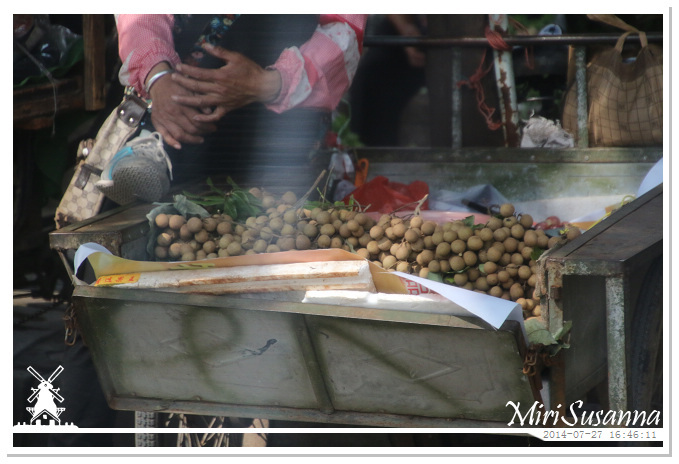 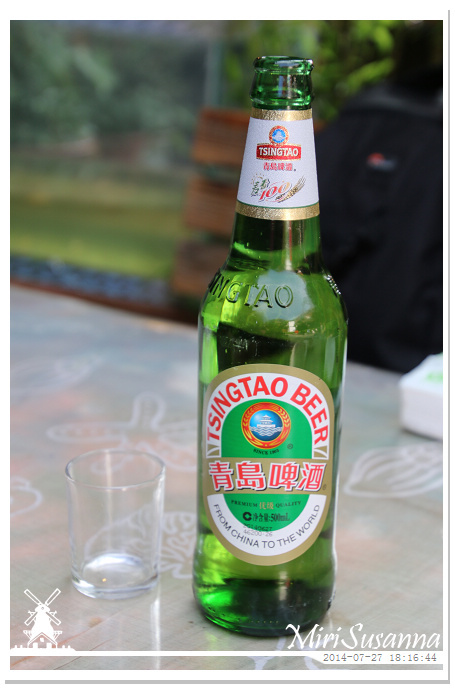 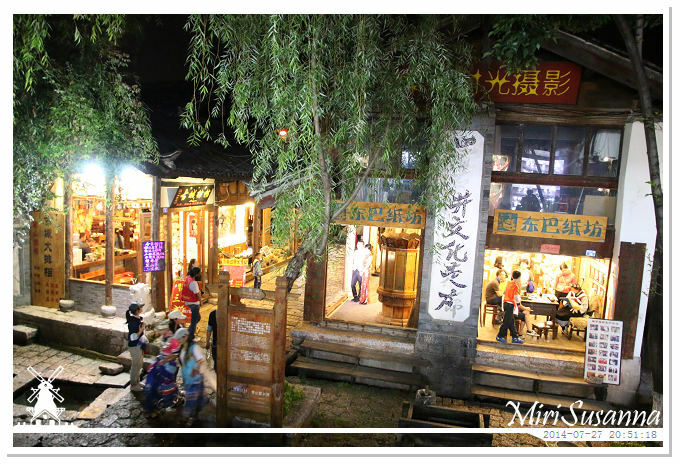 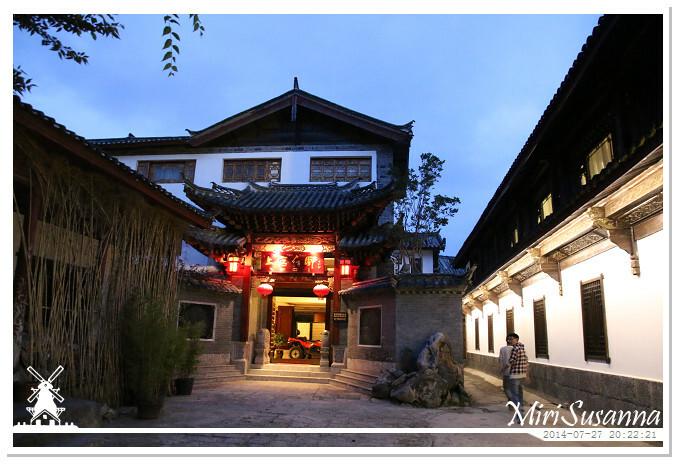 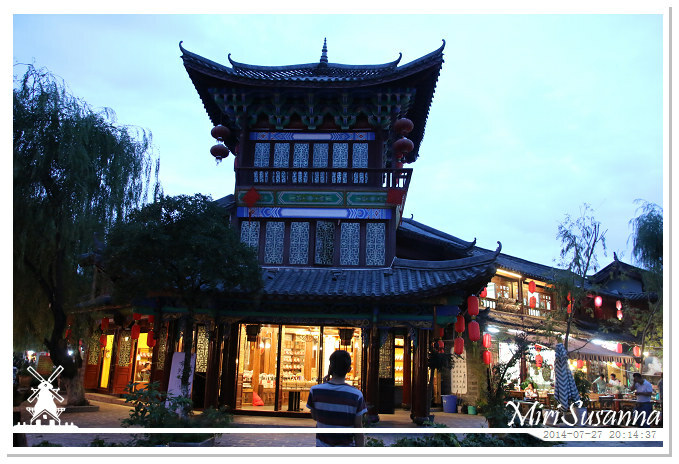 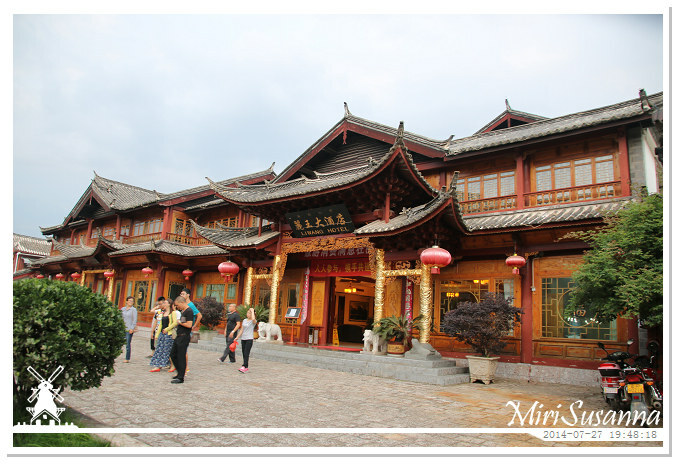 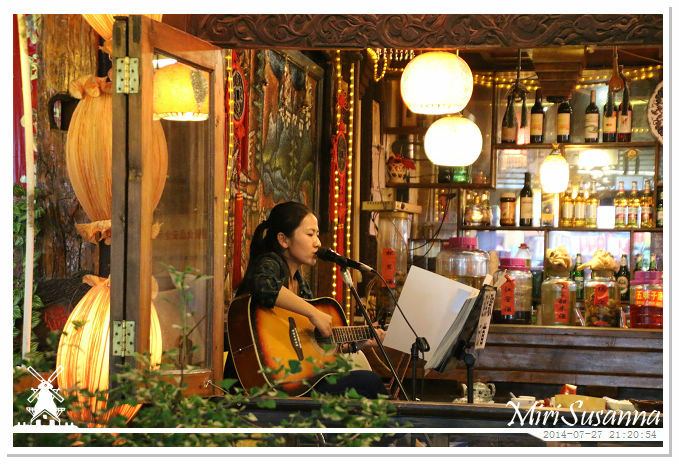 After our tour to Lugu Lake, we had to overnight at Lijiang, then continued our journey to Shangri-La. 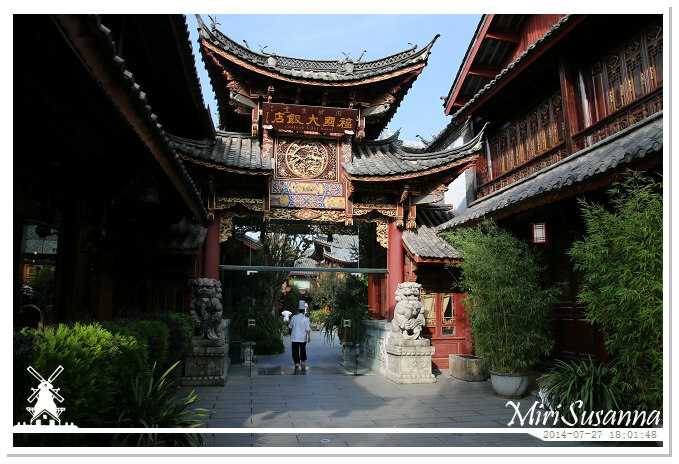 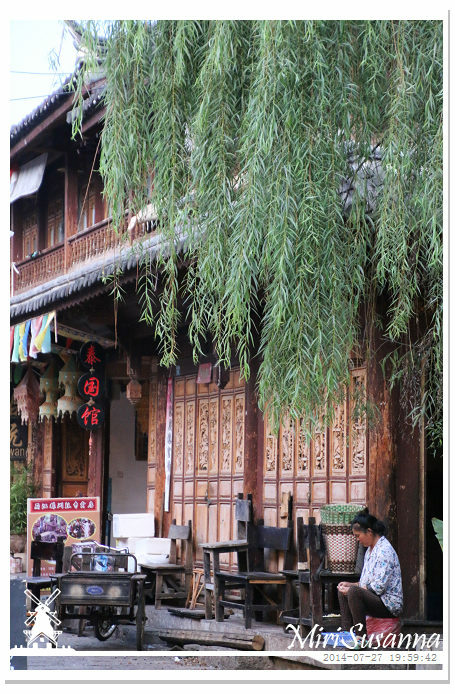 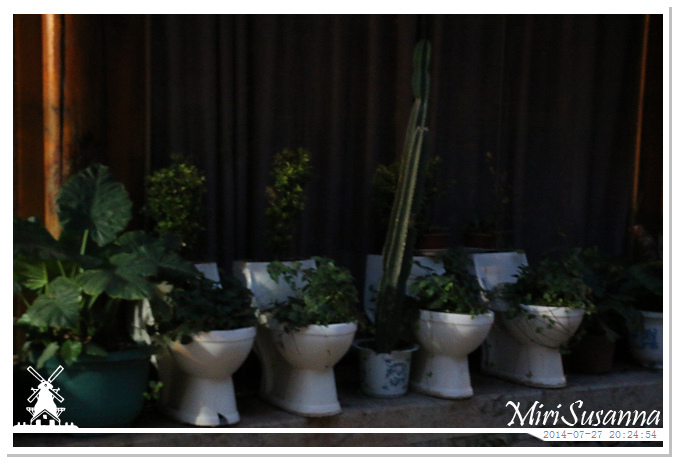 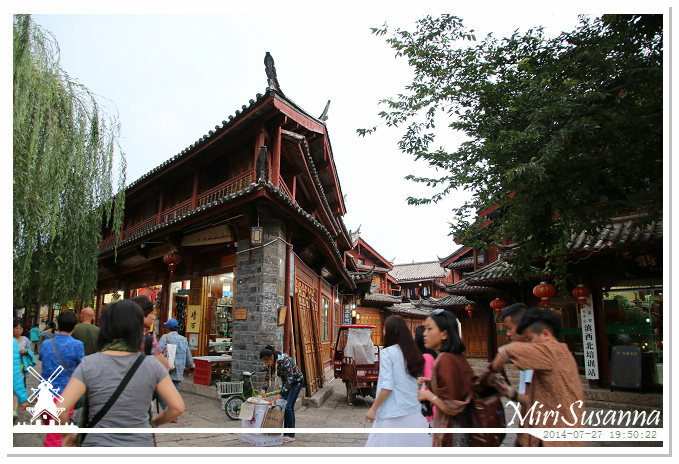 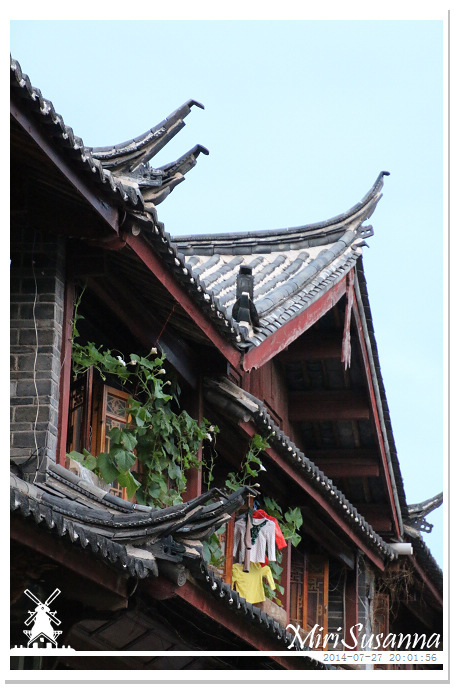 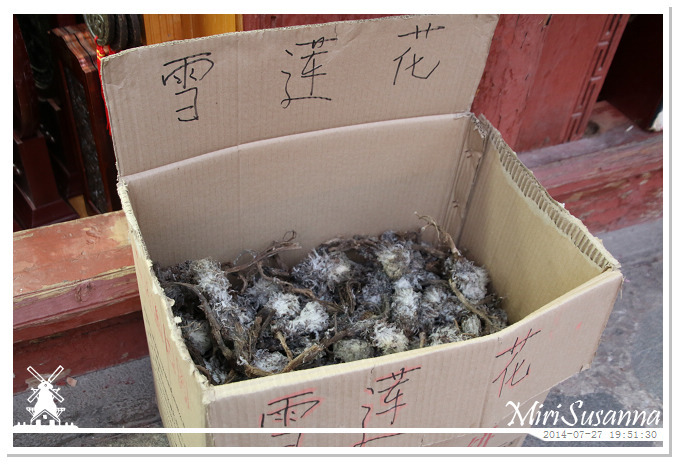 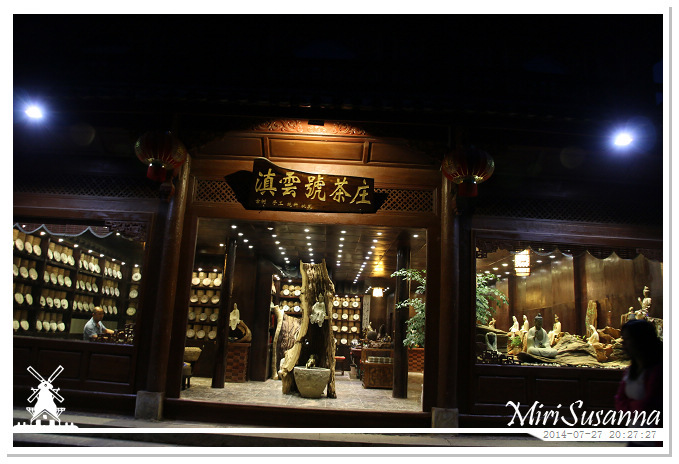 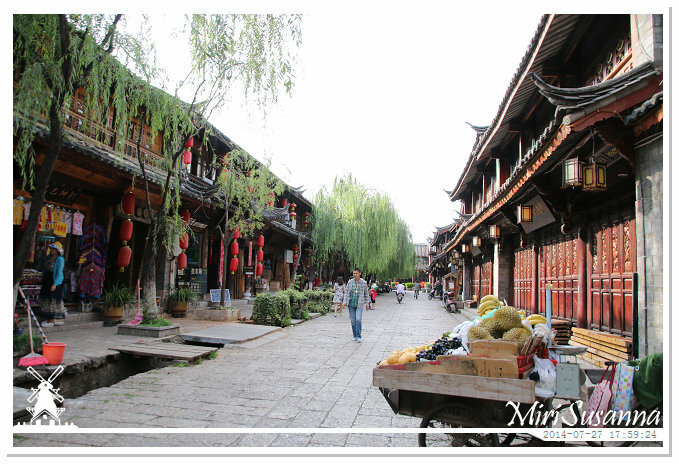 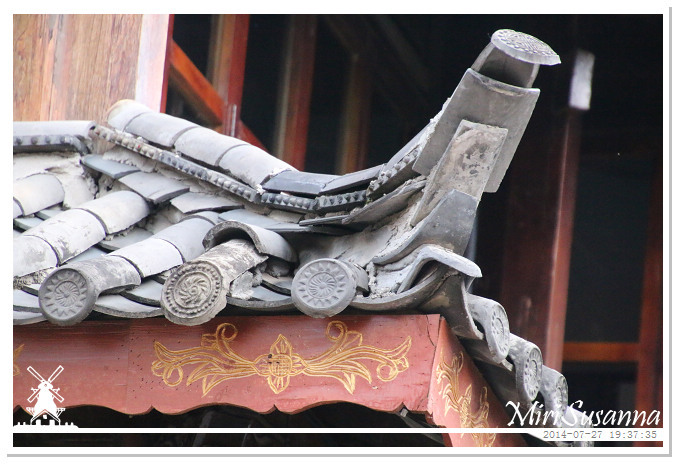 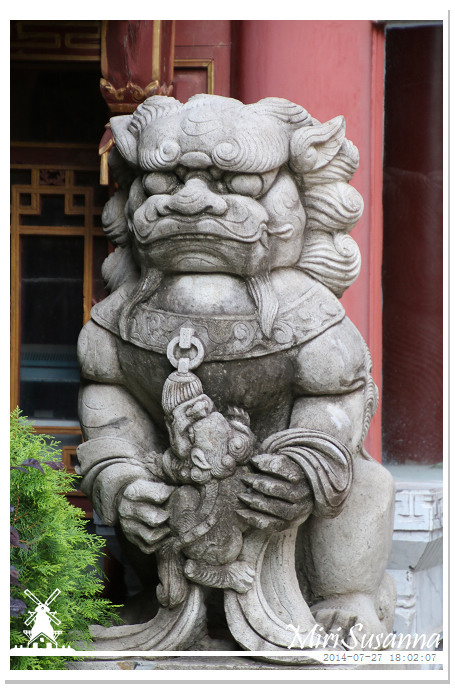 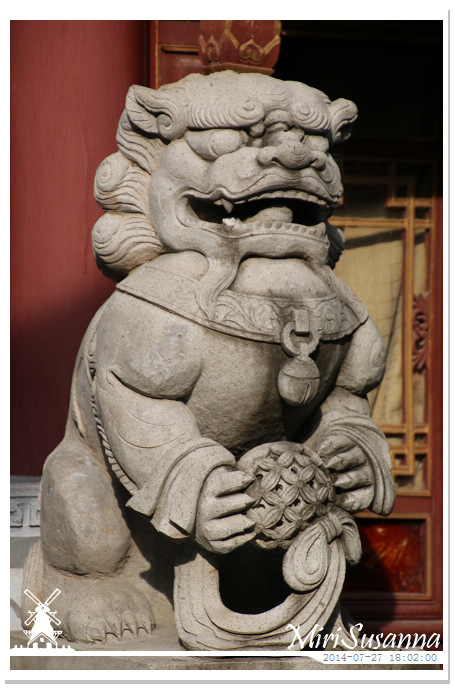 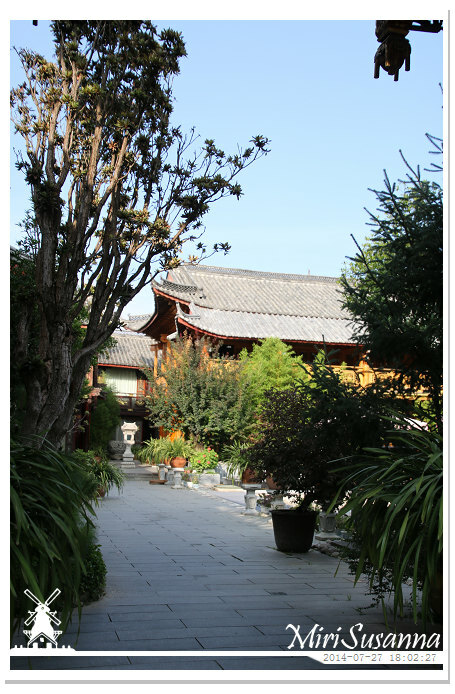 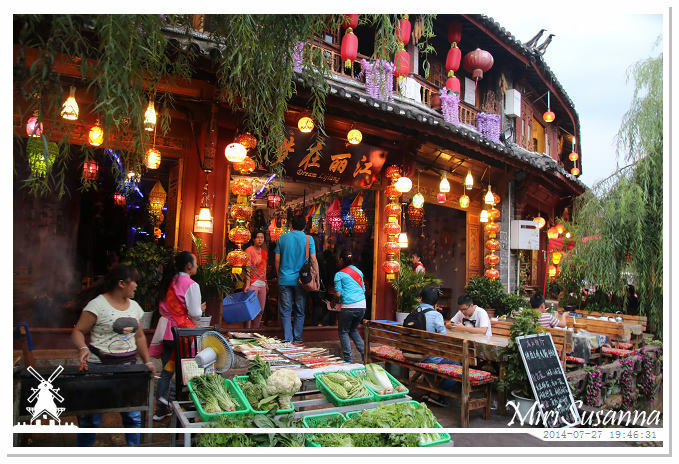 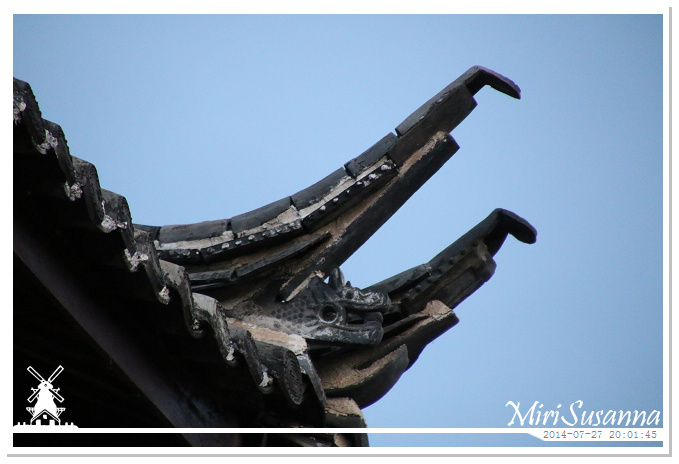 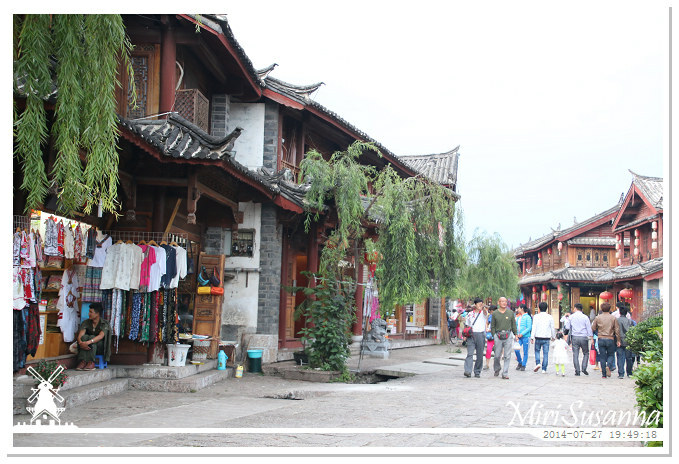 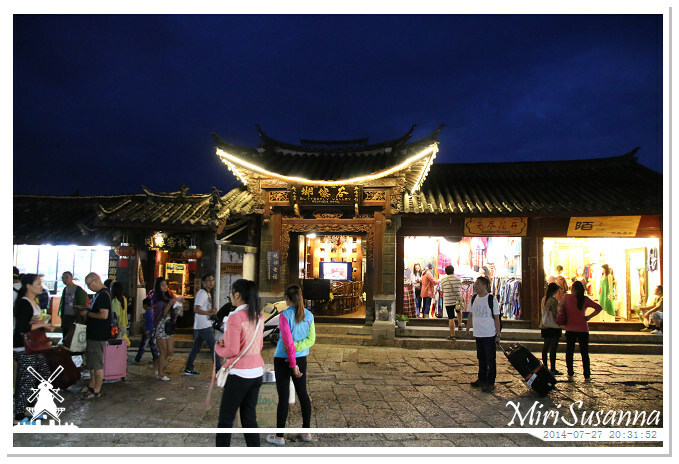 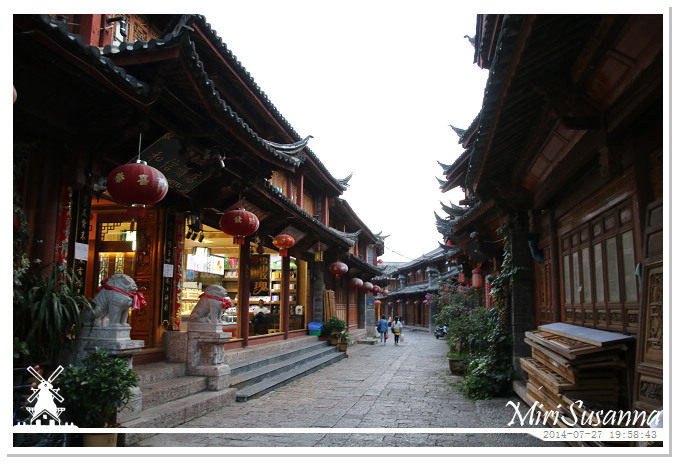 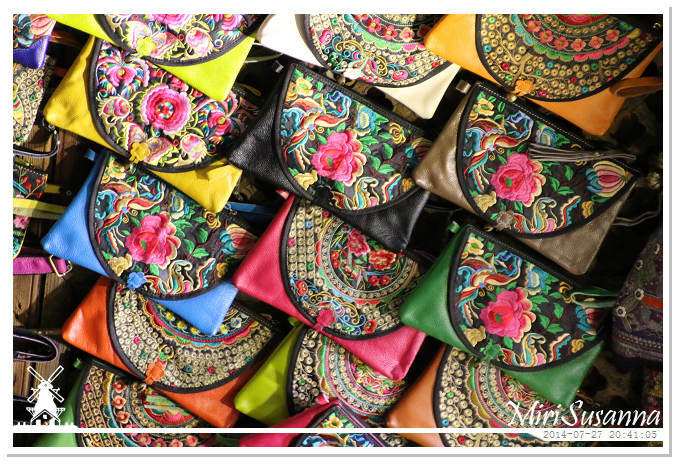 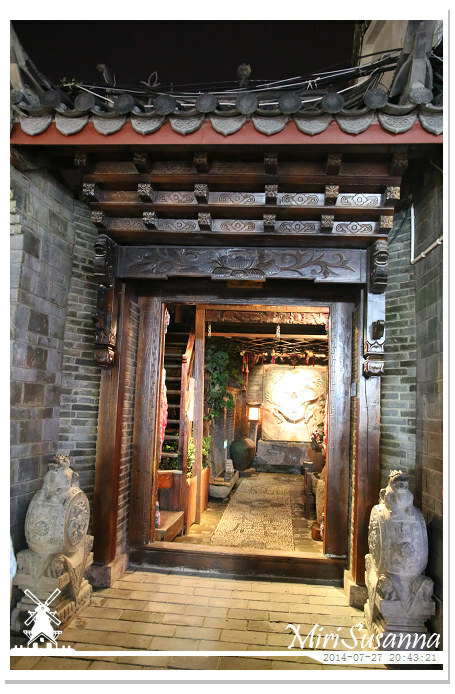 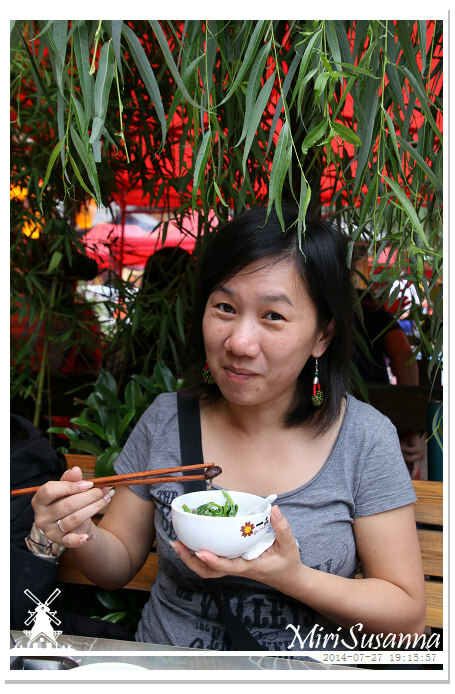 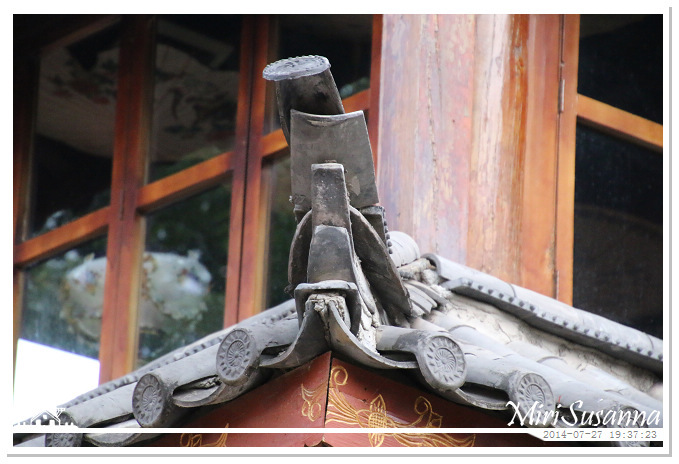 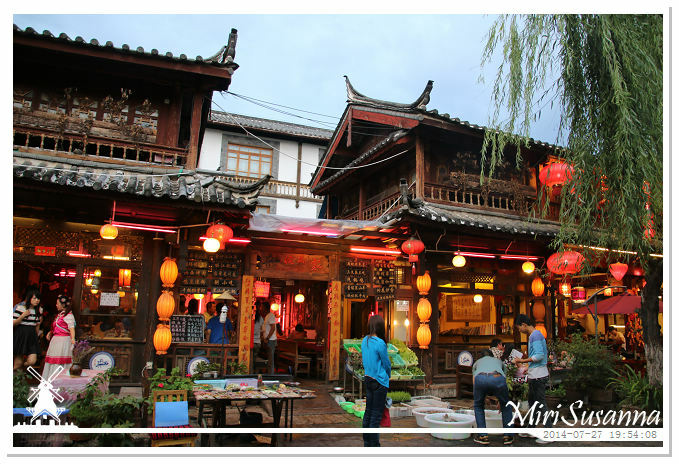 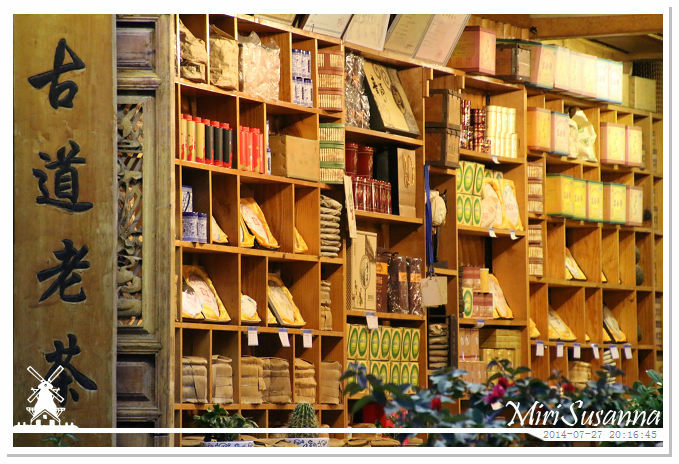 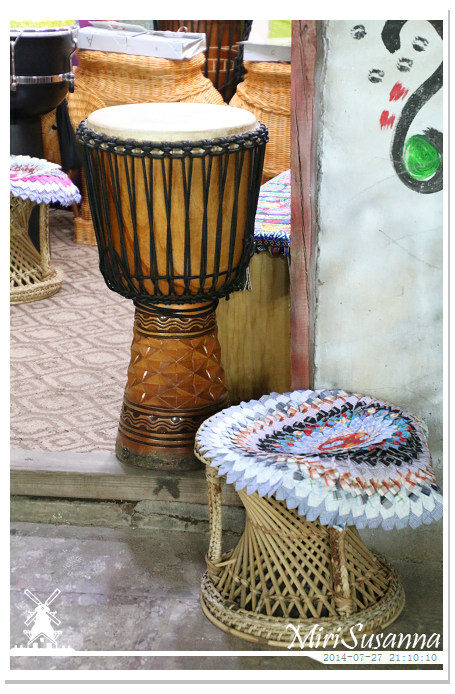 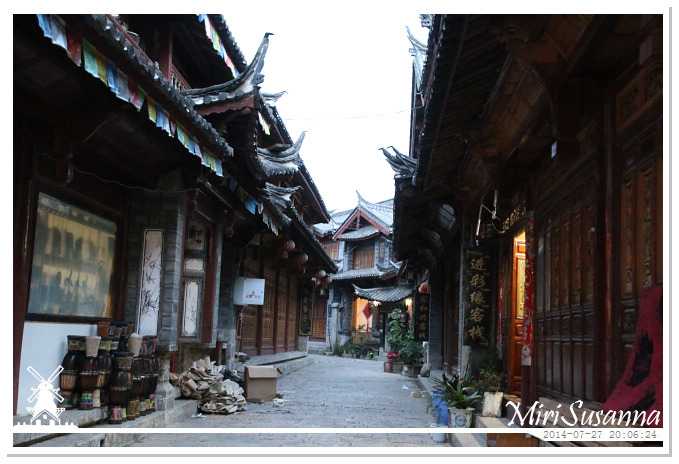 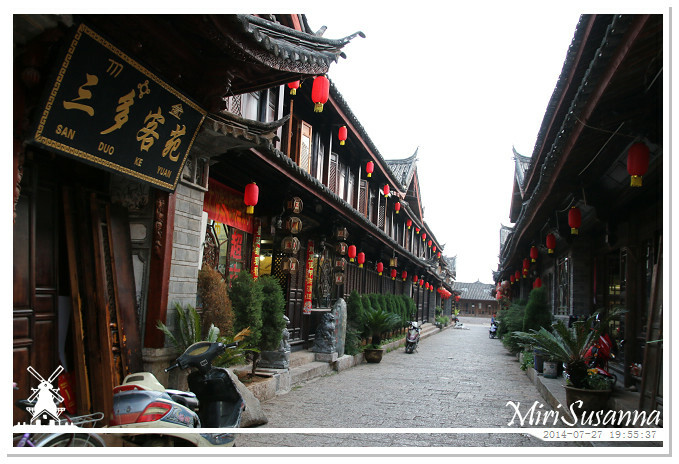 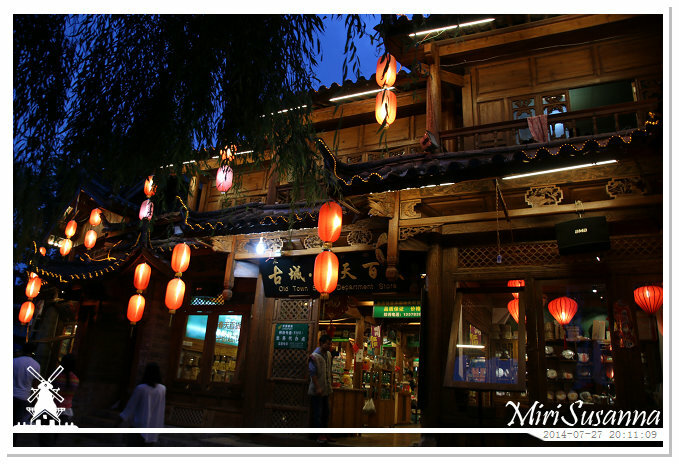 And, of course, we went to visit Lijiang Ancient Town again. 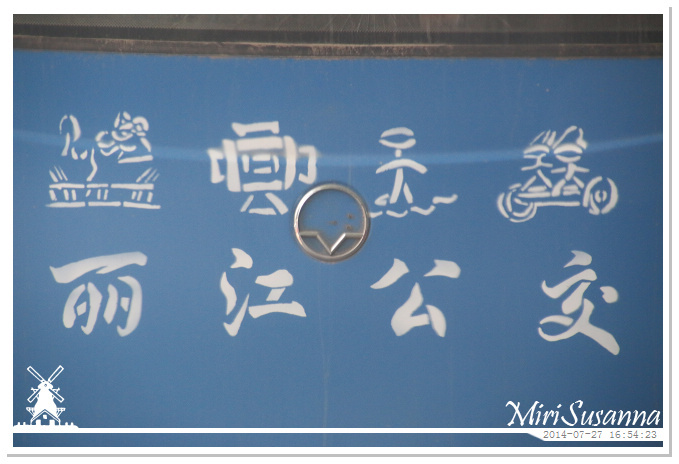 Lijiang Public Transport in Mandarin and Dongba’s hieroglyphs. 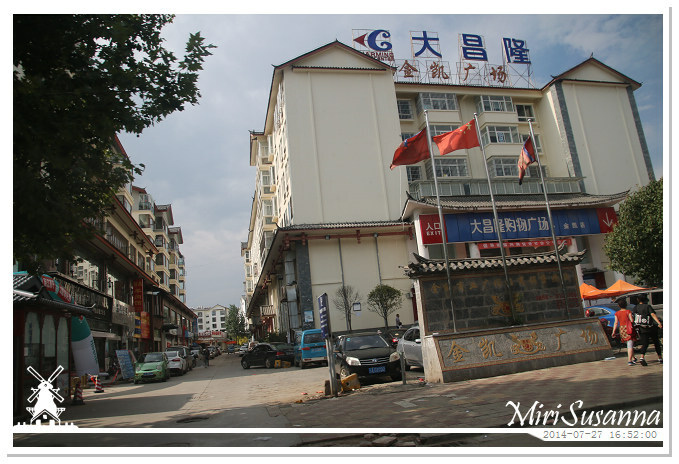 After arrived our hotel, we went to collect our laundry first. 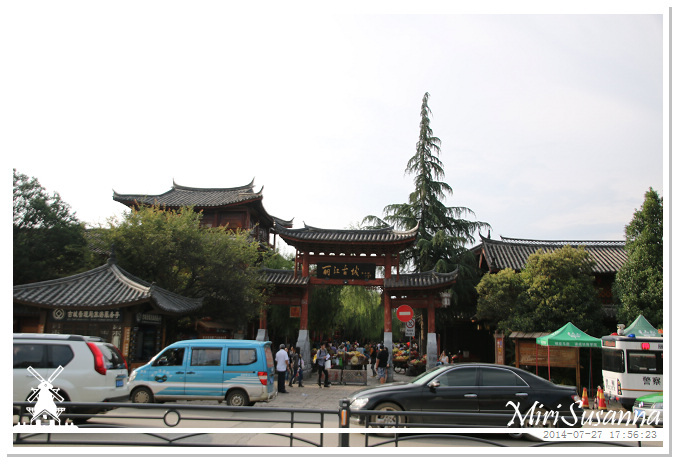 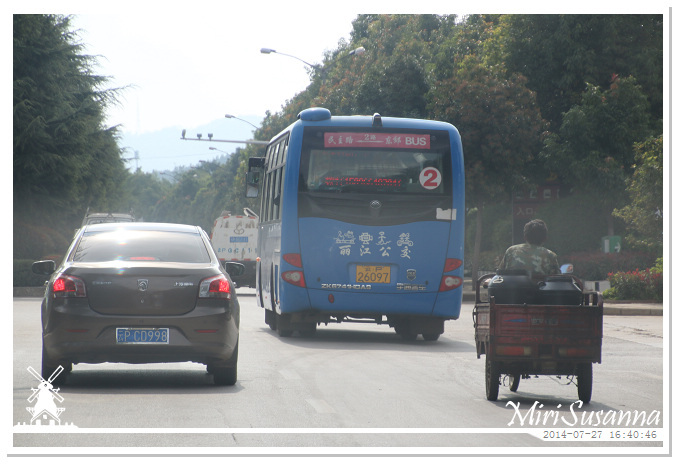 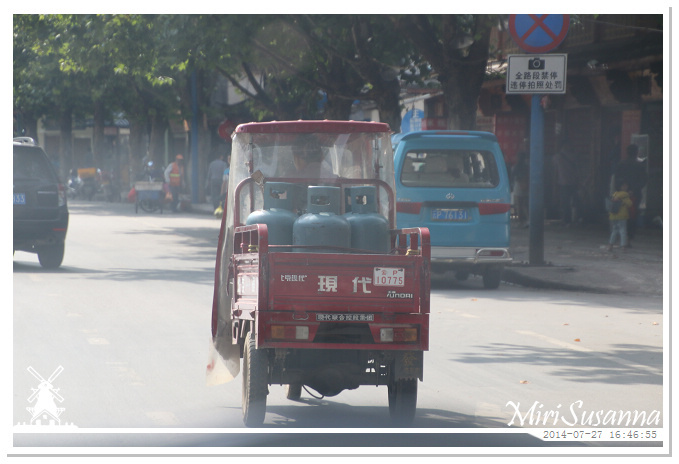 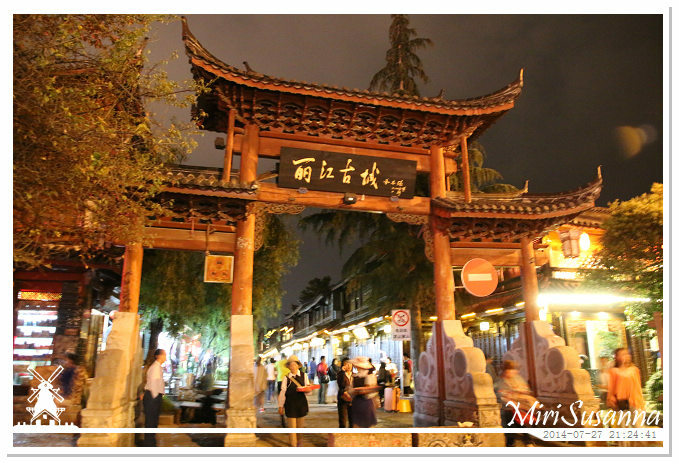 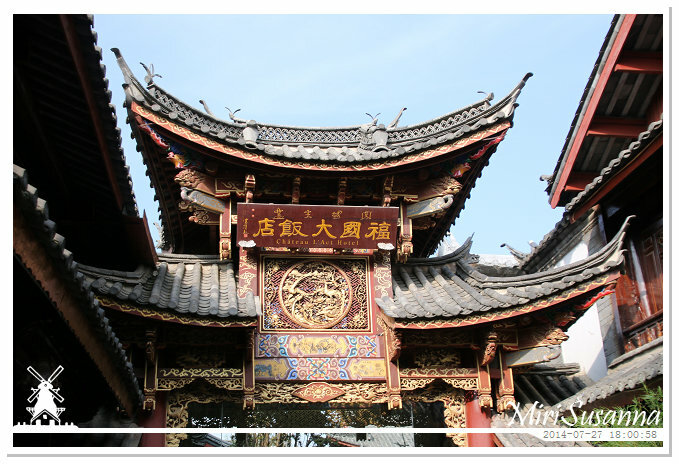 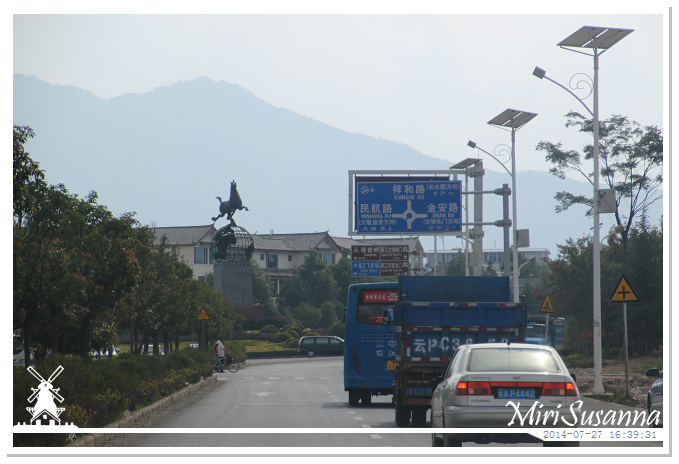 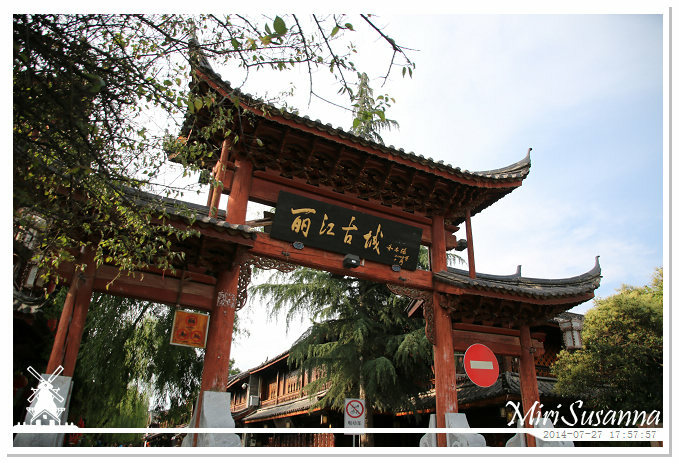 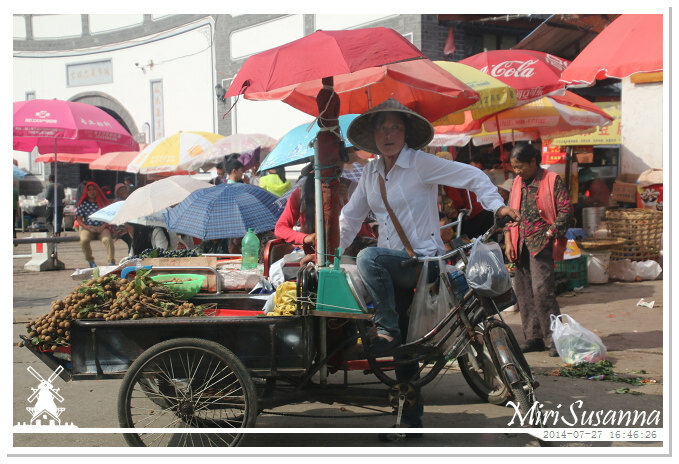 We took a taxi to the south gate of Lijiang Ancient Town. 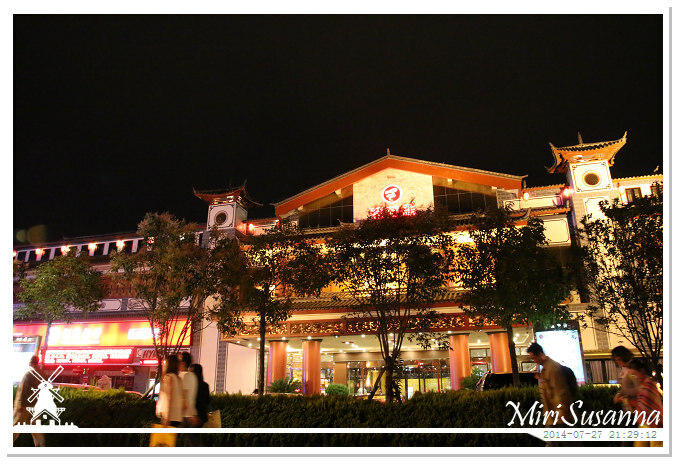 There are many hotels nearby the south gate. 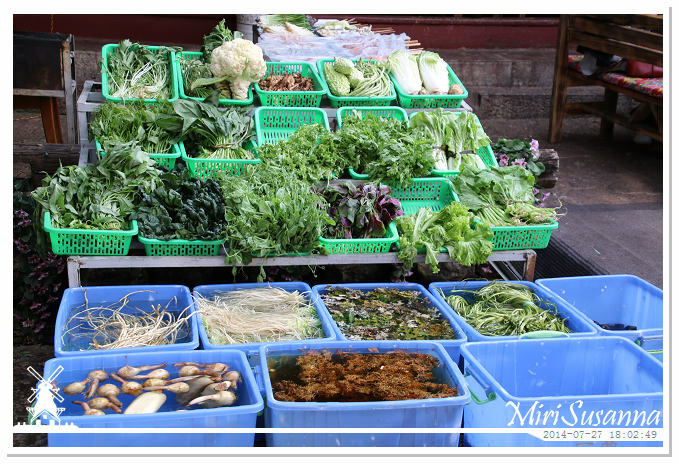 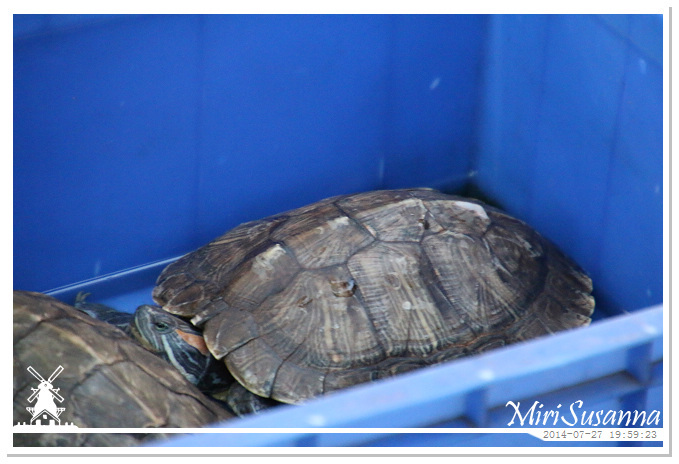 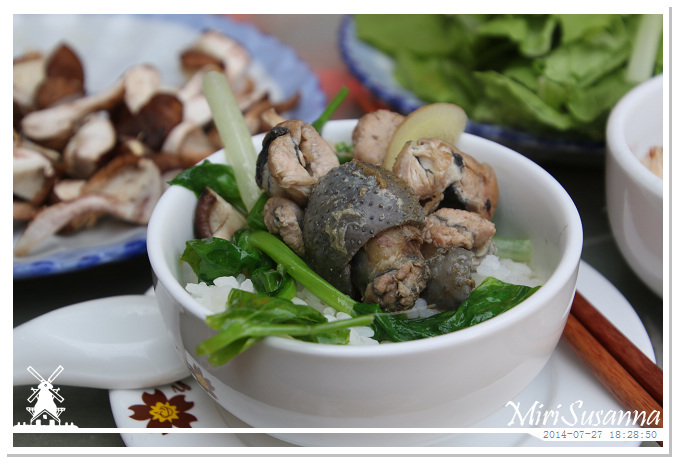 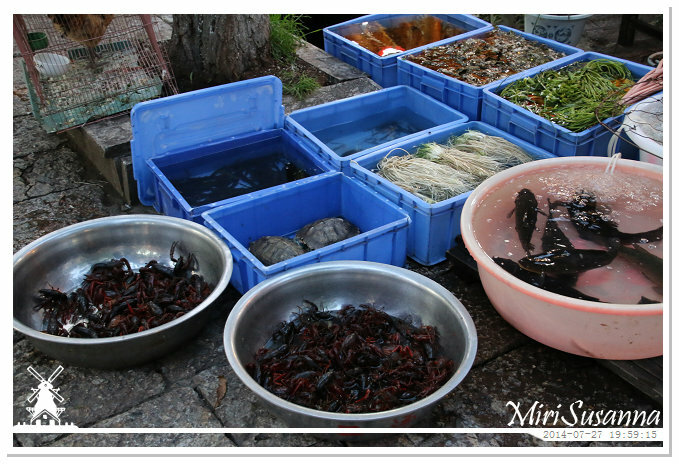 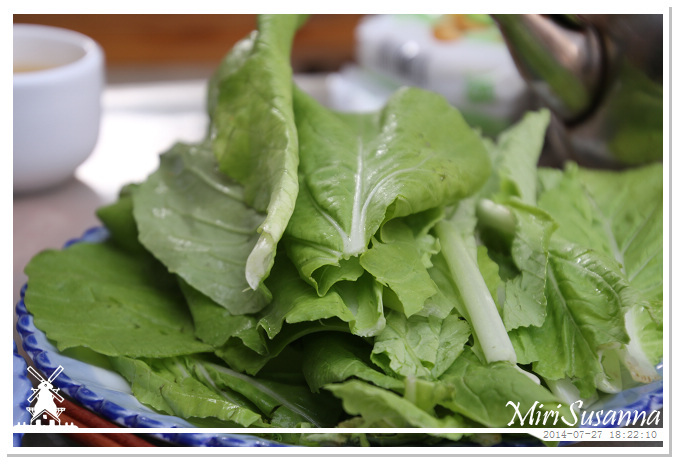 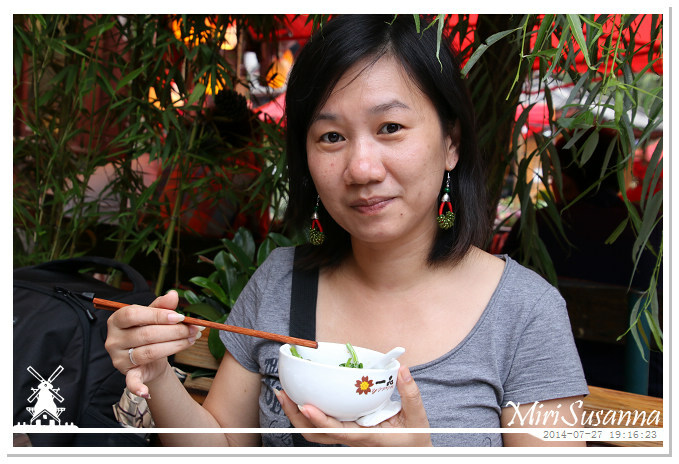 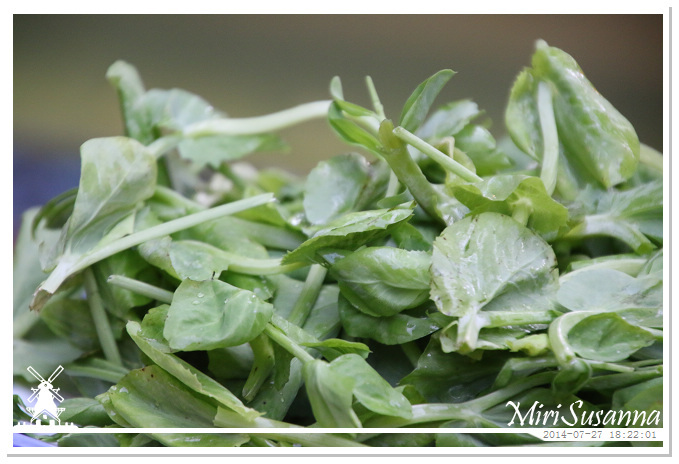 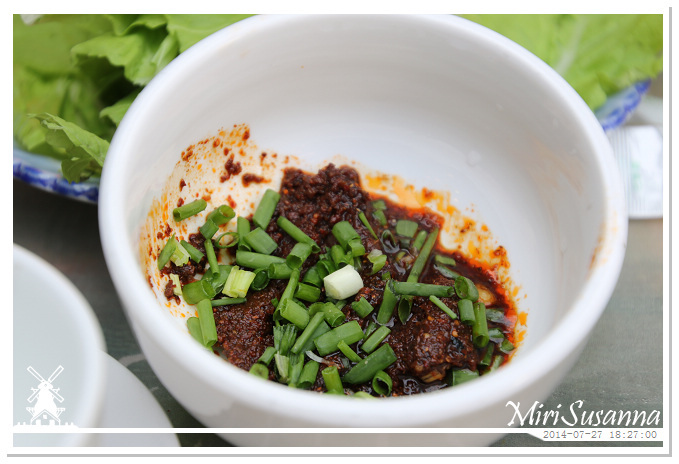 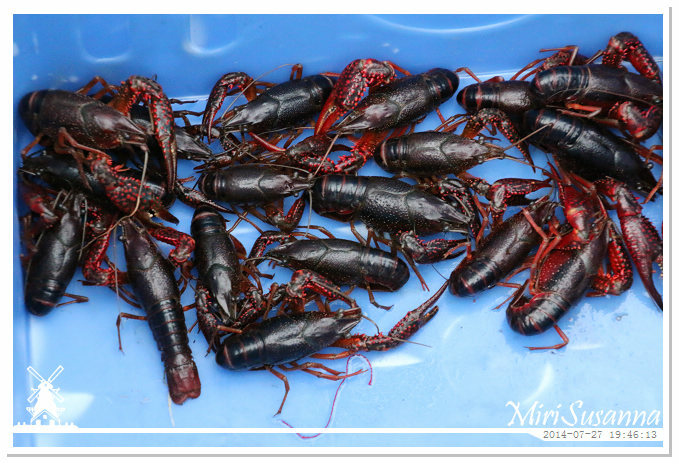 We’re attracted by the fresh vegetable, so decided to have our dinner here. 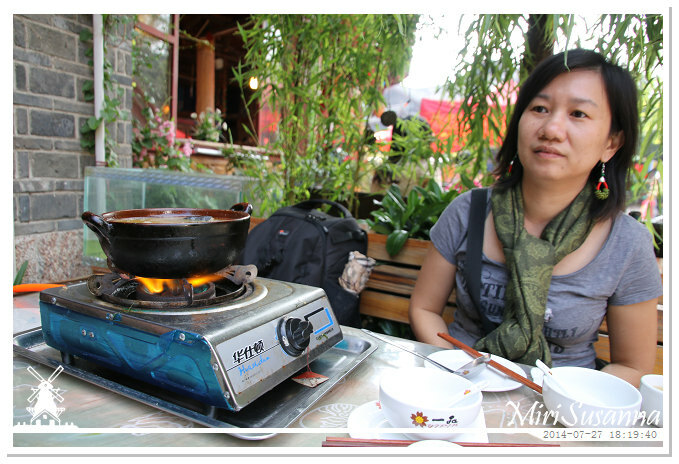 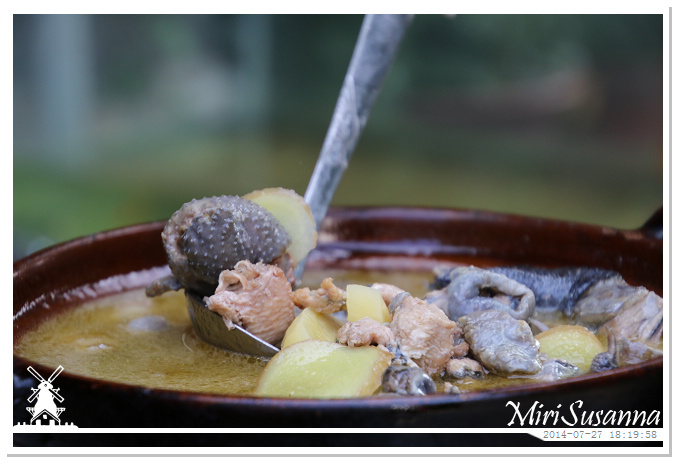 We ordered the chicken soup steampot. 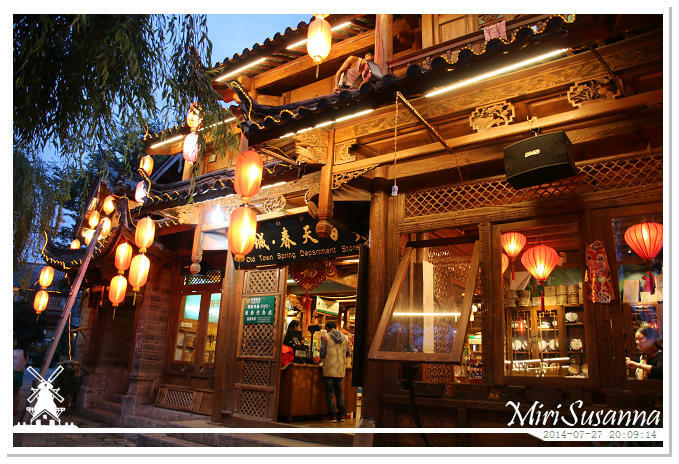 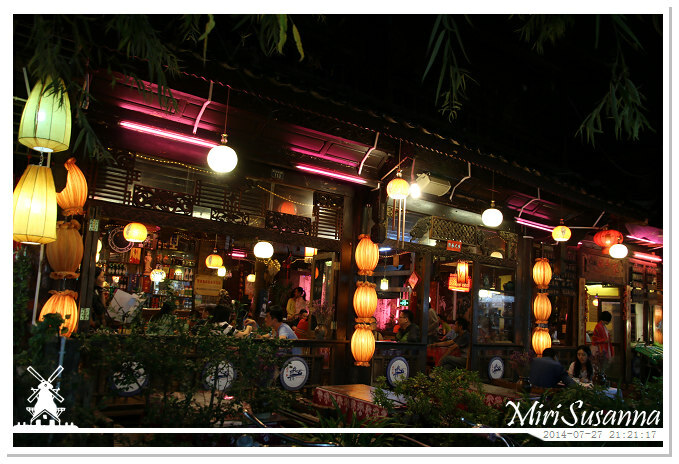 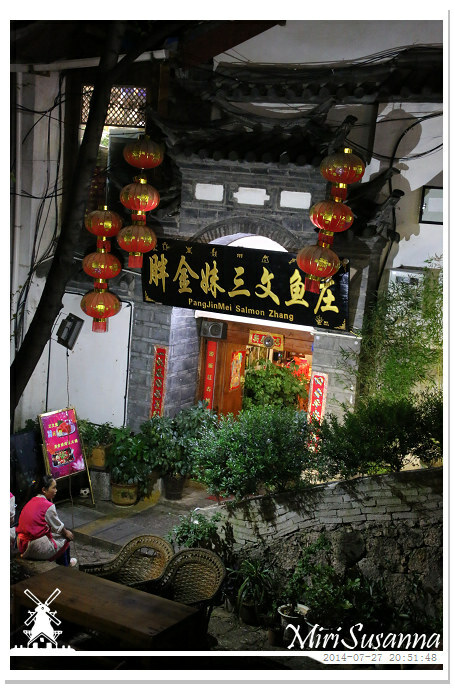 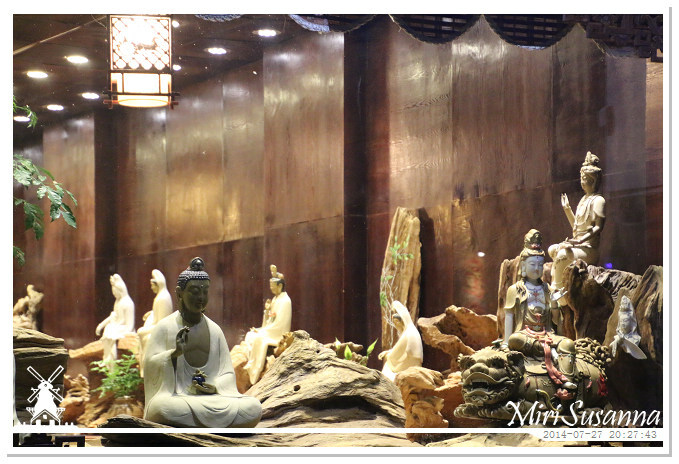 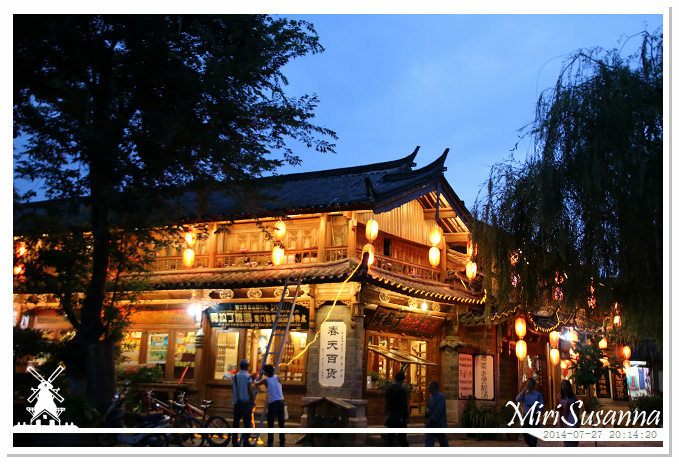 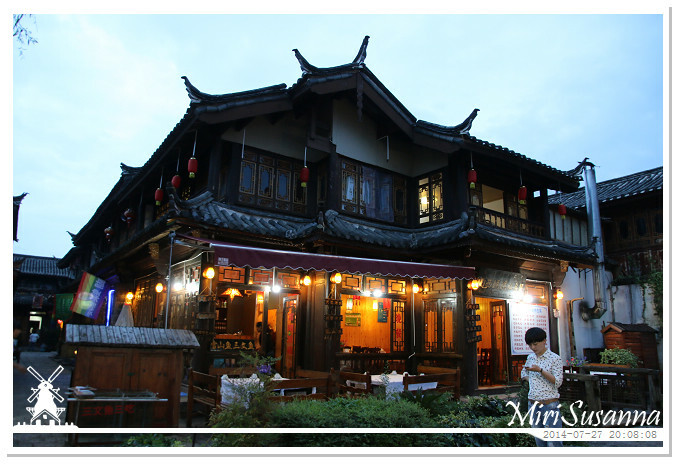 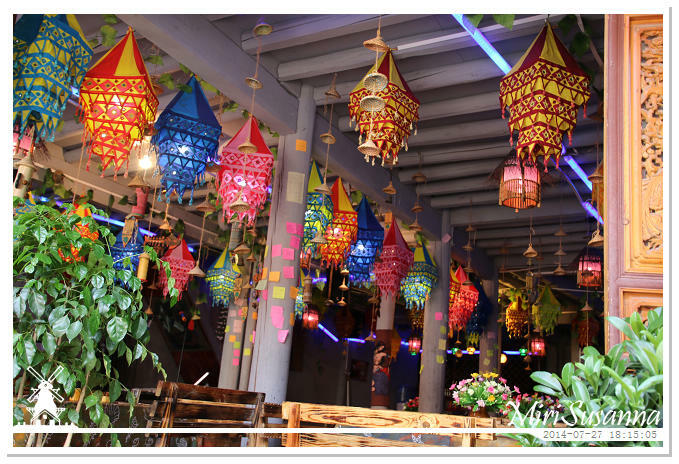 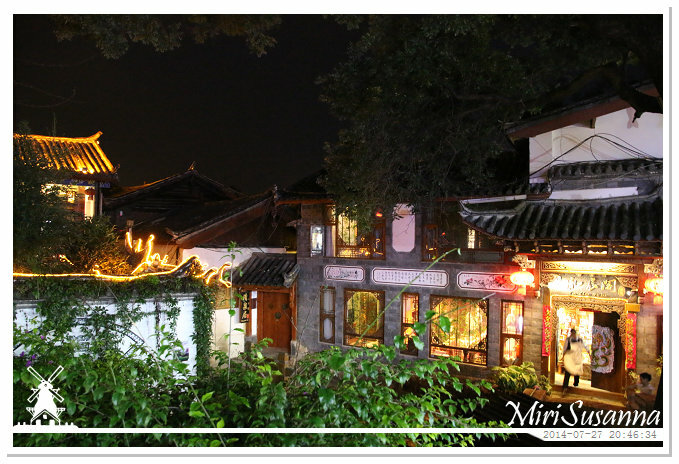 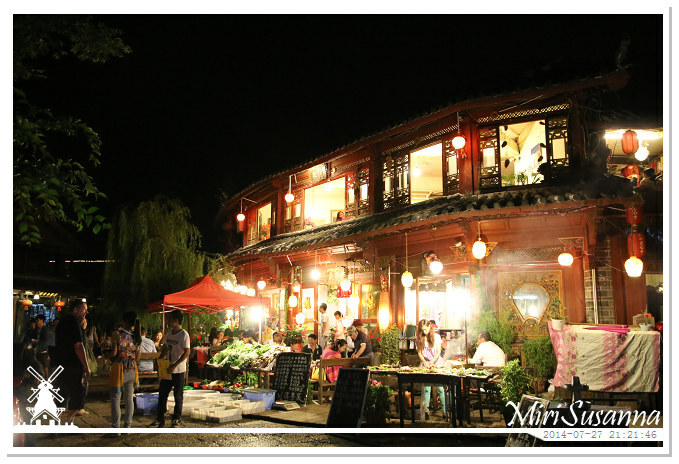 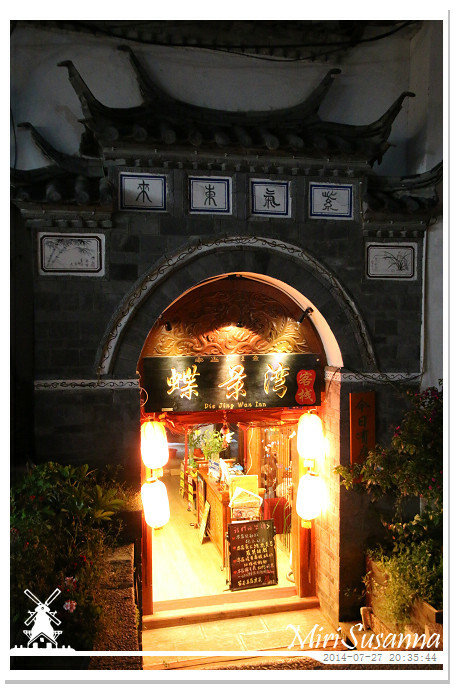 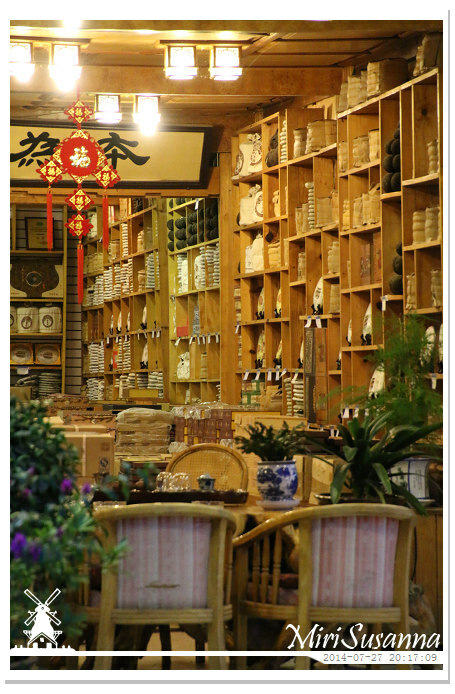 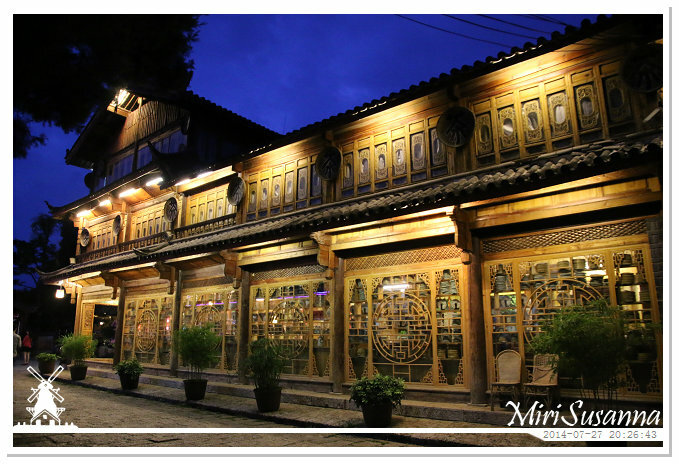 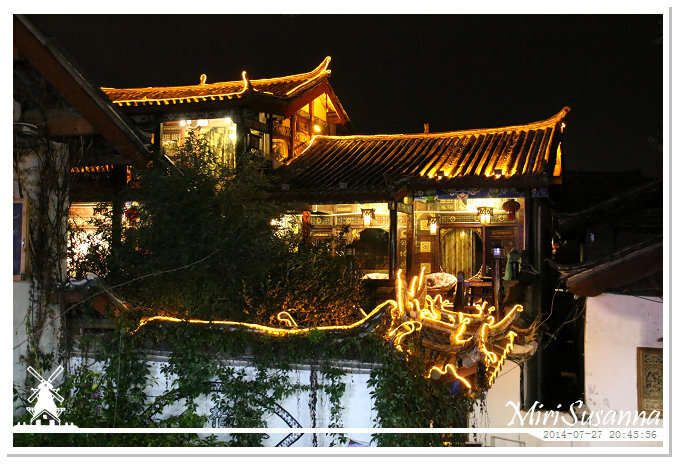 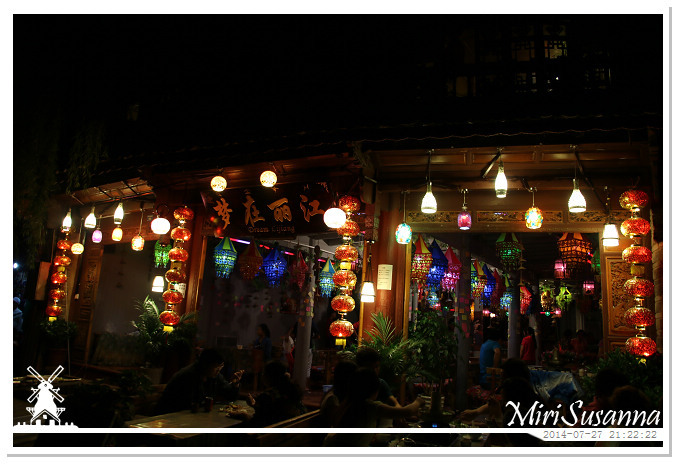 Dream Lijiang, this’s the restaurant where we have our dinner just now. 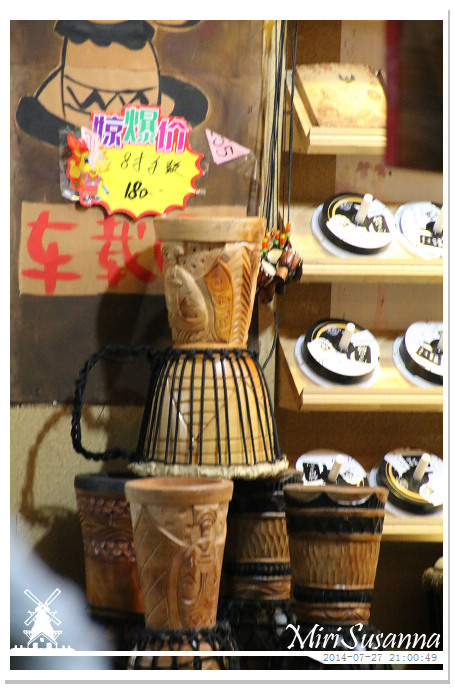 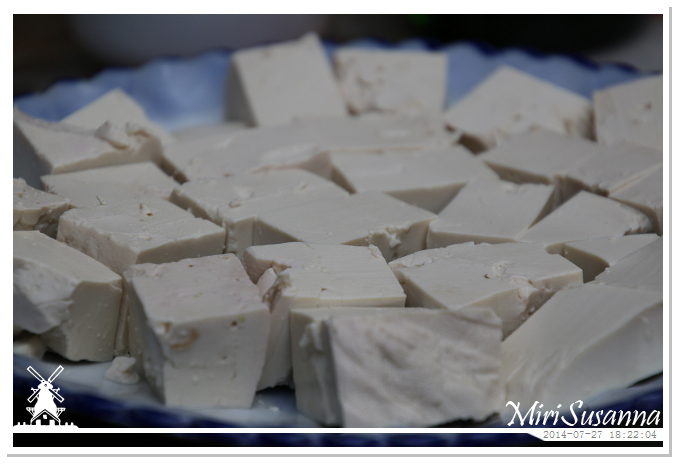 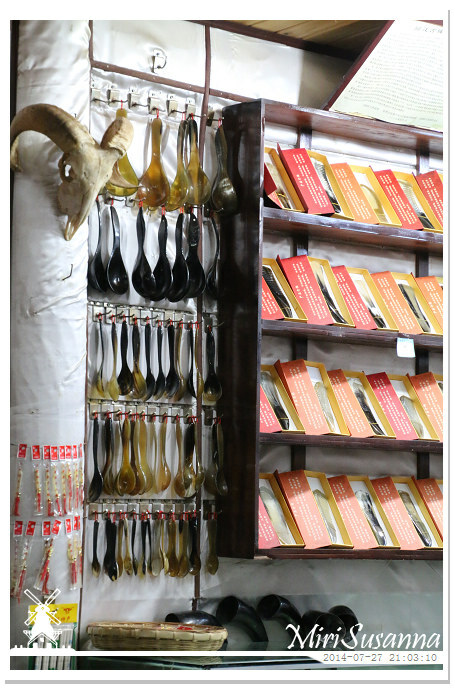 Products made by yaks’ horn or bone. 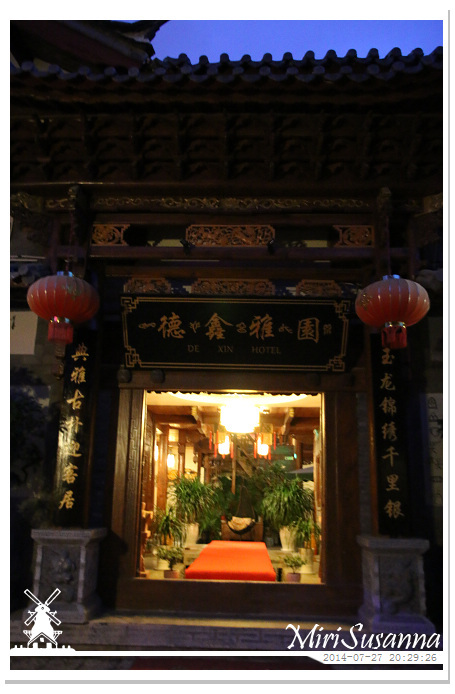 Took a taxi again to go back to hotel. 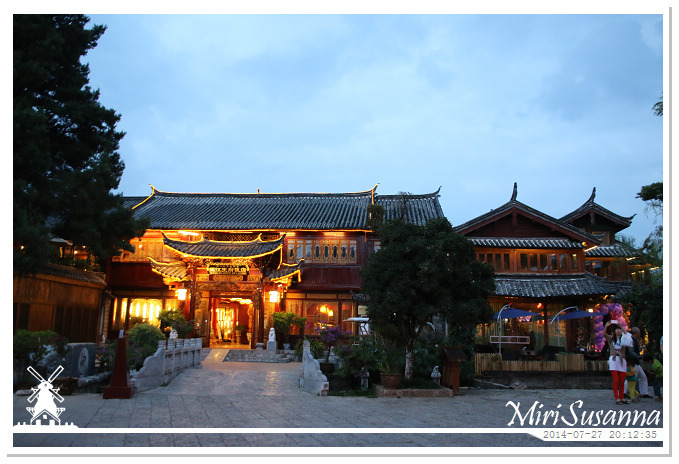 Tomorrow we would depart to Shangri-La.